 The Links Challenge. 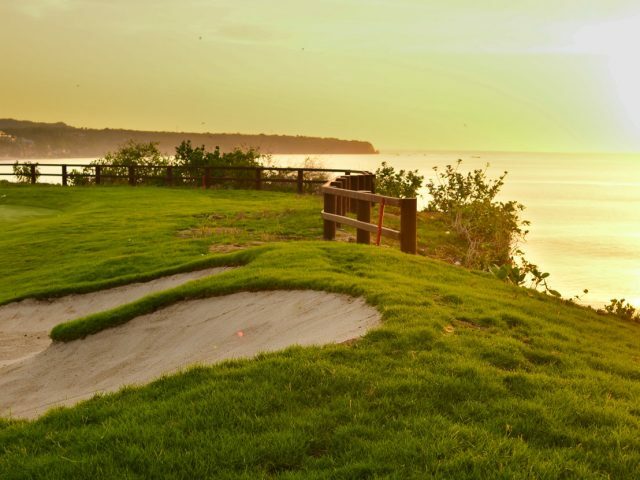 Used for European and Asian Tour events, New Kuta is a true Championship Golf Course set on the coast with views to Uluwatu and Bali’s surfing hotspots. 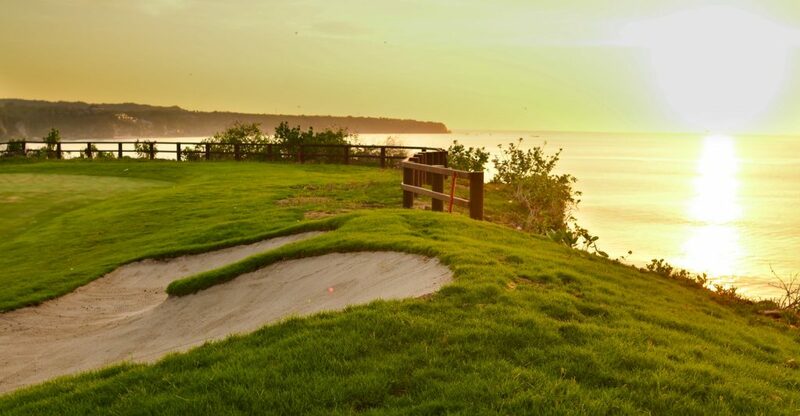 Expect magnificent coastal views, terrific practice facilities, large Greens, undulating fairways, long Par 5’s and many bunkers. 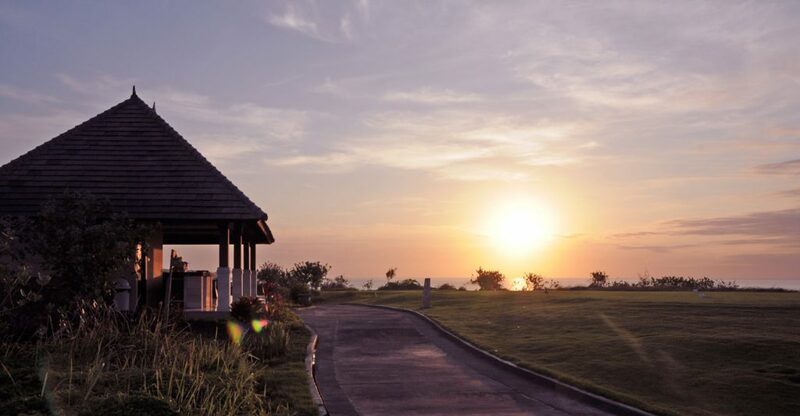 Expansive Locker and Restaurant facilities combined with the quality of the Course itself combine to make a day at New Kuta one to cherish forever. 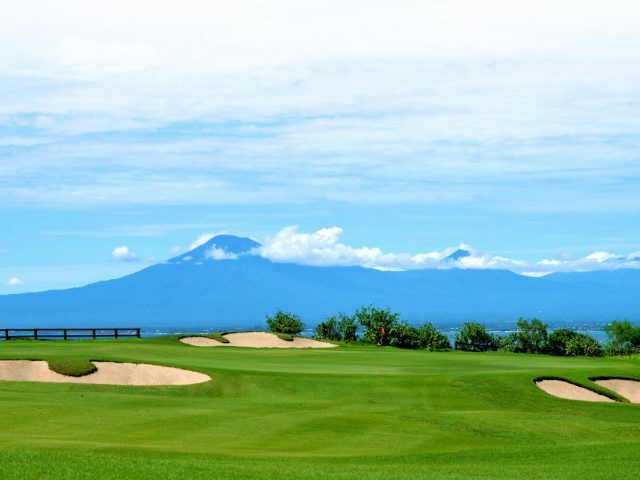 A championship standard course and the first links style layout in Indonesia. Serving mostly Indonesian and an international variety of foods. Located at the ground floor, overlooking Holes 9 and 18 and the putting green. A fresh, open-air atmosphere. Total capacity of 200 persons. Open from 6am until 8pm. 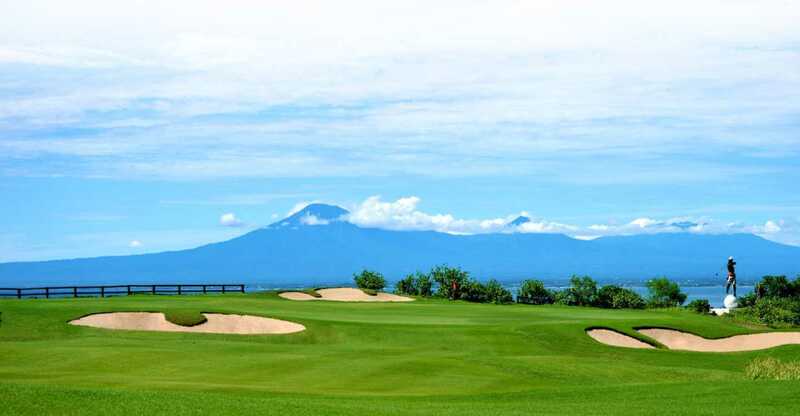 New Kuta Golf is located on the southwestern rim of the island’s Bukit Peninsula, within the Pecatu Indah Resort grounds. 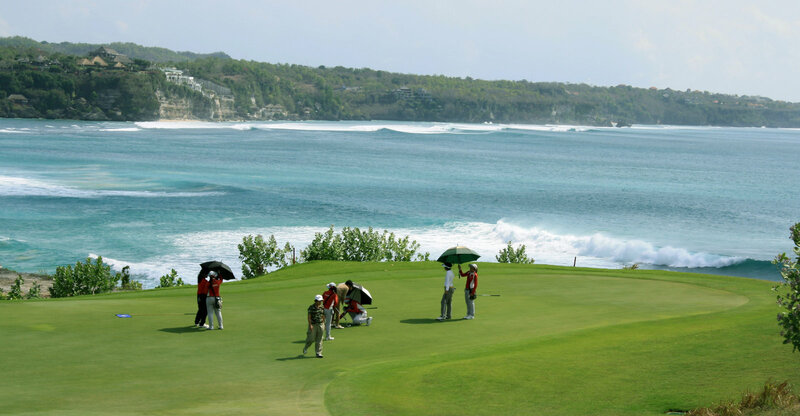 The resort is perched above a limestone cliff, overlooking stunning Dreamland and Balangan Beach. 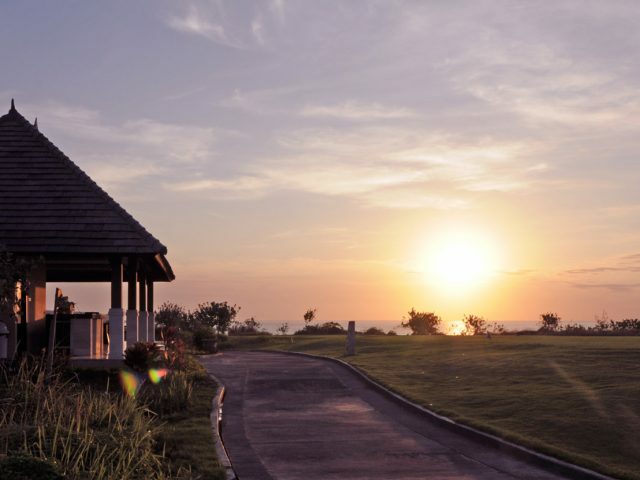 20 Minutes driving distance from the International Ngurah Rai Airport. 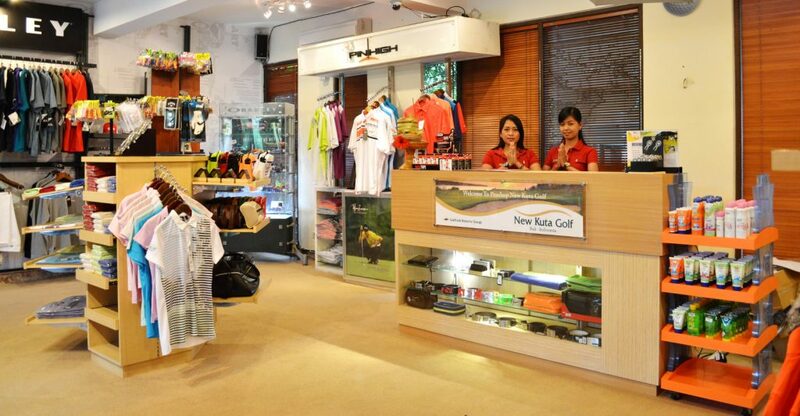 Our Proshop has a large selection of merchandise from some of the biggest brand names in golf. The Proshop includes everything from quality clothing to golf clubs and accessories. 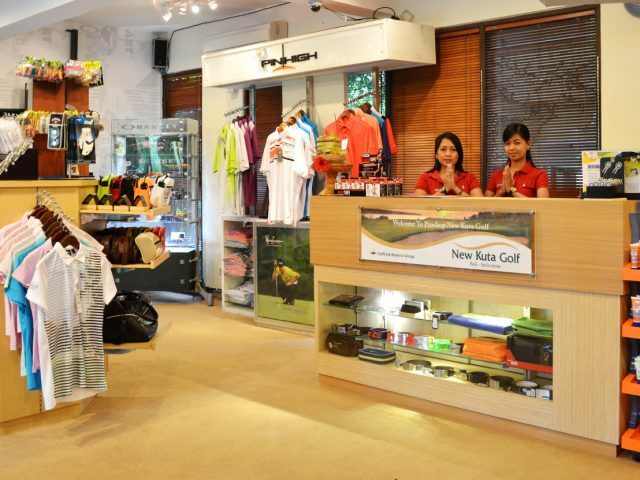 Whether your’re looking for a new driver or just a gift for someone special, the New Kuta Golf Club House is your one stop shop for all your golf needs. Full golf academy lessons and coaching services are available.